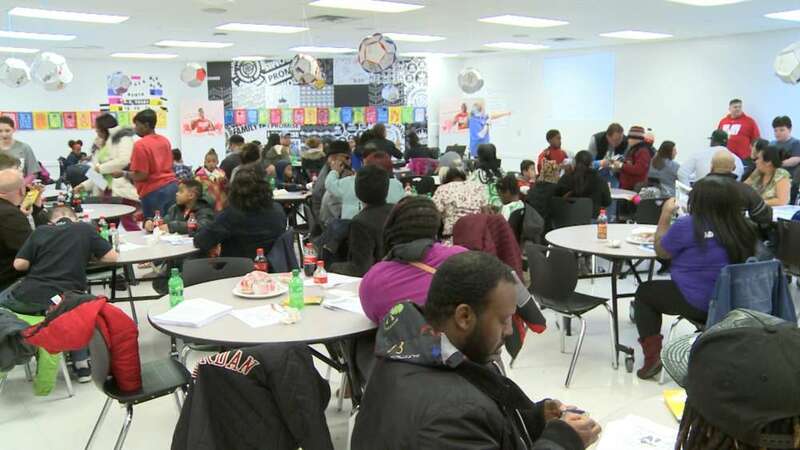 About 400 parents and kids load up their trays with dinner from Swensons and settle into the I Promise School cafeteria and gym for a quick guide to managing money, a pitch for flu shots and a student performance on messages hidden in old spirituals. 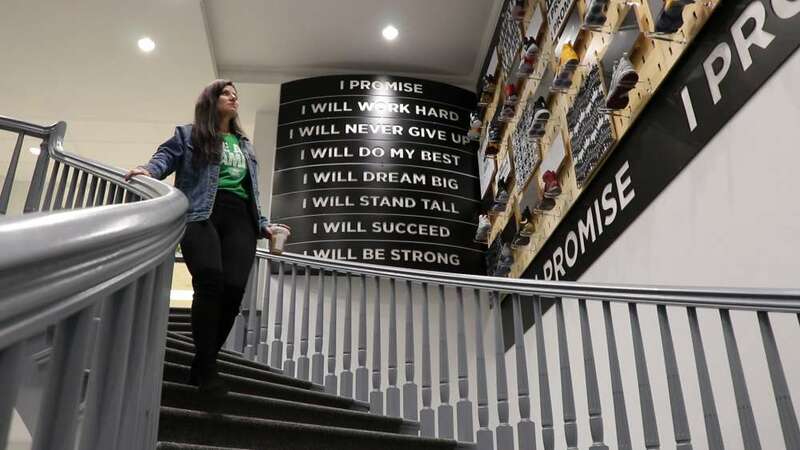 These kinds of family gatherings happen once a month and at least 80 percent of the I Promise families participate, according to Nicole Hassen, the Akron Public Schools liaison to the LeBron James Family Foundation. That runs counter to national surveys, including one by the U.S. Department of Education that shows poverty cuts parent participation. It’s something Hassen said she experienced during her nearly 20 years as an Akron schools teacher. In this case, “anything” is helping 225 third and fourth graders learn, cutting through the trauma that comes with poverty, homelessness, violence, mistrust and other issues that so often enmesh urban kids. 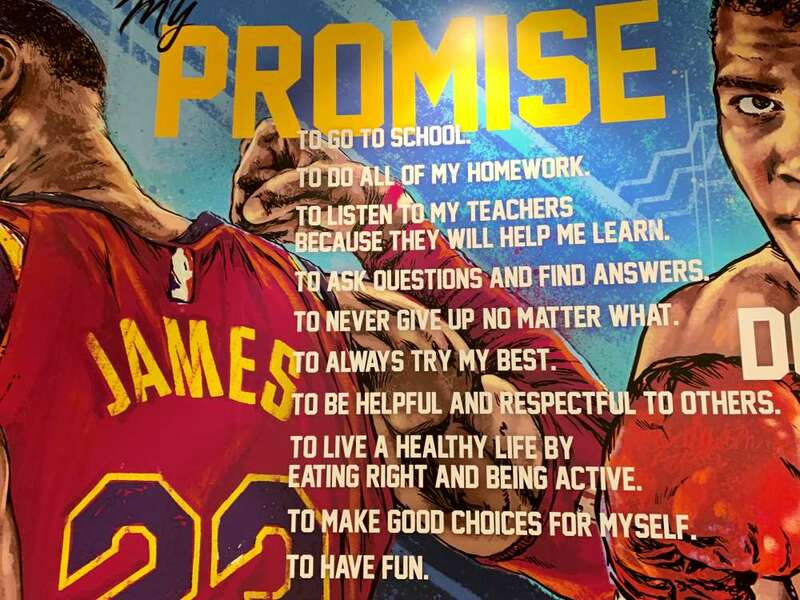 Akron Public Schools and the LeBron James Family Foundation launched the I Promise school just seven months ago. It’s too soon to measure the school by test scores and most other standardized metrics, but its supporters are increasingly convinced the city’s newest public school understands the core of what it takes to transform urban education across America. It’s a traditional public school, not a charter. It’s a STEM school that recruited its first class from the bottom quarter of Akron’s reading scores and from neighborhoods throughout the city. Student attendance has been running at 97 to 98 percent. Class size is capped at 20. School begins at 9 a.m. with a sharing circle that includes a song and a chance for kids to decompress, and ends at 5 p.m., in part so parents are more likely to be home when kids get off the bus. There’s clothing for kids in what’s called the “happy-happy room” and another room filled with teacher supplies, the kind of stuff many teachers have to dig into their own pockets to supply. Much of that comes from the $3 million put up so far by the LeBron James Family Foundation. 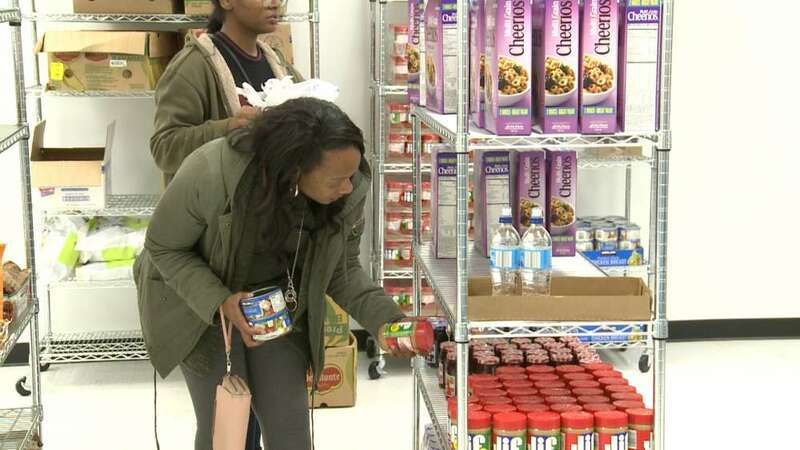 But the foundation’s presence is really felt in the Family Resource wing — a place for GED classes, a legal aid clinic, a health clinic, Job and Family Services, a food pantry. Especially, she says, people who are going through the kind of experience she did when her parents split and her family ended up homeless. Helping families get through those experiences is part of her job. McGee is tasked with developing plans for each family, from getting housing or a GED to expunging an old criminal record. And ultimately, it was more important for the LeBron James I Promise School to have that than a basketball gym. For basketball, the kids head about a mile away to a rec center. Make no mistake. The imprint of one of the greatest players in NBA history is everywhere at I Promise starting with the lobby. On shelves that float above the curving staircases sit 114 shoes, each worn in an NBA game. Their mates are being sold to raise money for the LeBron James Family Foundation. 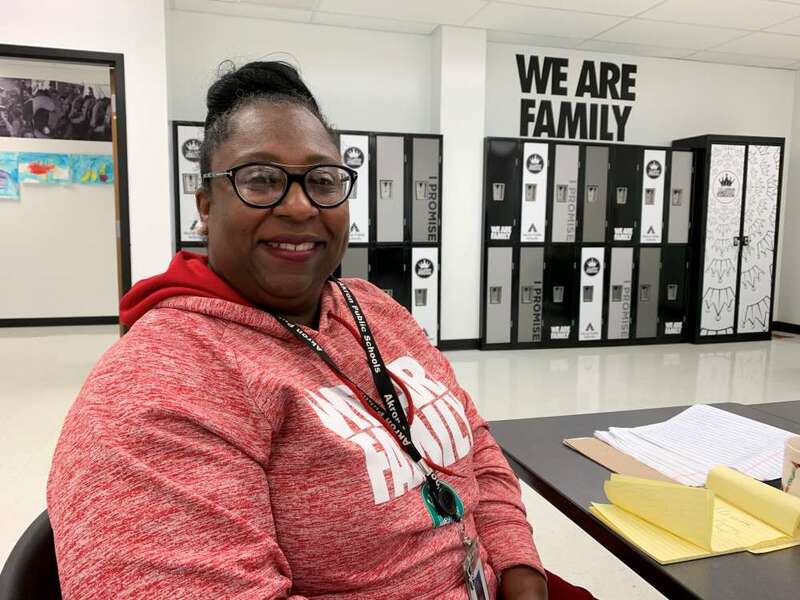 But the head of the Foundation, Michele Campbell, says the biggest contribution came from sitting down with LeBron and his mother, Gloria, and asking about the days they were homeless, when he missed 84 days of the fourth grade alone. Campbell said the answer is one they hear echoed by I Promise families now. “They need people that love them no matter what’s going on in their life and that won’t judge them,” she said. Ciara DeBruce walks down the hall with 3-year-old Justice, the youngest of her three kids, and her 9-year-old Larry. 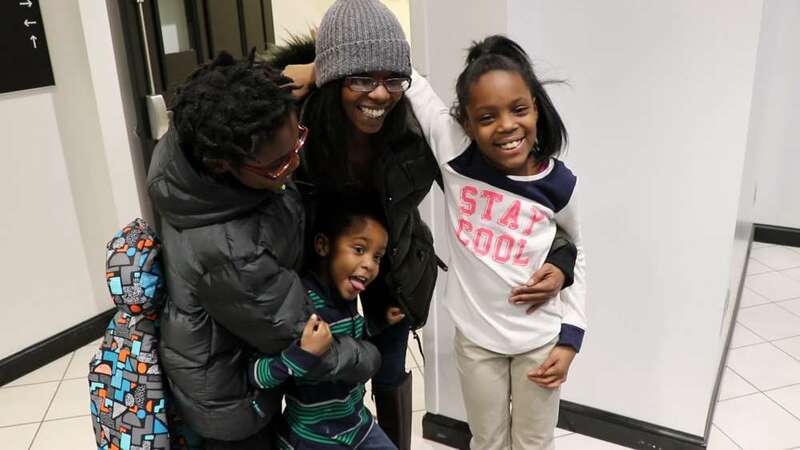 She’s working with the Family Resource Center to expunge her record, but sometimes, she says, the value of the center is simply as a refuge. “I’ve cried on their shoulders, they have really been a family to me,” she said. In rapid succession, she explains sign language and rattles off the I Promise pledge and its five Ps: partner, perseverance, perspective, perpetual learner and problem solver. Akron isn’t the only place trying to come up with a solution to what ails urban education. And I Promise has been drawing national and international attention, including a visit from a United Nations delegation. The I Promise School started last summer with third and fourth-graders. The district and Foundation picked those grades because that’s when Ohio’s reading guarantee kicks in, and children get held back if they’re not proficient. Hassen says it’s also when learning-to-read transitions to reading-to-learn, and many kids fall away. I Promise will continue through the summer with a seven-week camp. And next year, the school will add a fifth grade. By 2022-23, it expects to have grades one through eight, filling all three floors of the building.